Sloppy Joe Macaroni and Cheese recipe is an easy family-friendly meal made in under 30 minutes for pure comfort food everyone will go crazy for! 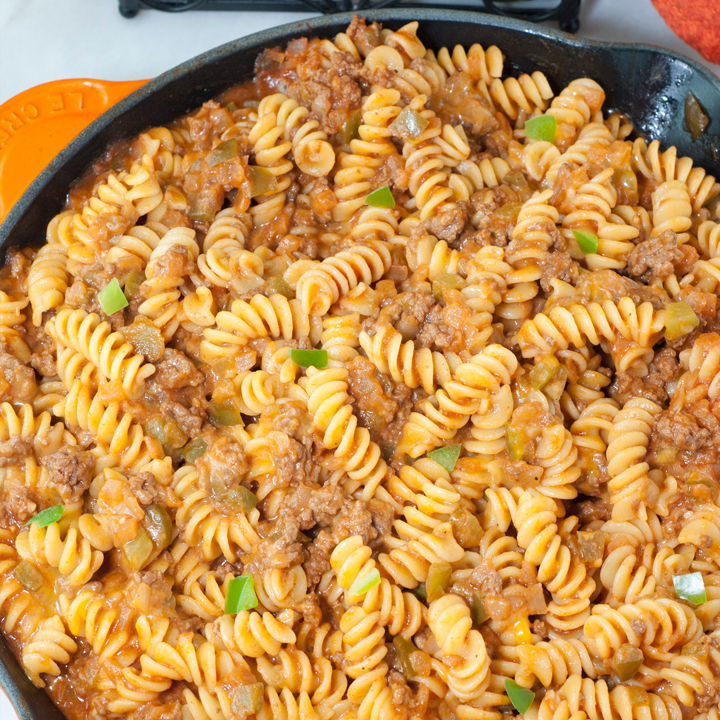 I love this Sloppy Joe Macaroni and Cheese and am so excited to share it with you today. It isn’t just your typical beef, cheese, and macaroni meal. The flavors here are so complex and will leave everyone wondering what the secret ingredients are! Each year, my mom has my Grandparents over for dinner on Father’s day. He is a picky eater and I’m always racking my brain when she asks me for ideas on what to cook for him. When she asked me a couple of weeks ago, this was the first meal that came to my mind. After I made it for dinner one night all I could think about was how nobody could NOT like this meal – kids, adults, and all the people in between. I found the Sloppy Joe Macaroni and Cheese on the Taste of Home website originally and then saw a version on Taste and Tell’s blog and knew right away (after seeing her amazing cheese-loaded photos) that I was going to love it! I changed it up just a bit to my liking and increased the ingredients in order to make a larger dish of it (because who doesn’t like leftovers?). I also used Cabot yellow sharp cheddar cheese because I firmly believe that Cabot takes any cheese dish to the next level! My favorite cheese of all time – hands down. What are you doing for Father’s day? I have a bridal shower for my step-brother’s fiance on Saturday and on Sunday I plan on not doing a whole lot besides visiting my dad’s grave. I can’t believe this is my second Father’s day without him! I have a Father’s day card I purchased WAY ahead of time before he passed away that I never got to give him. It sits here in my desk drawer next to me but I keep it buried because it stings to even look at it. I told a story last year on my blog about my dad when he first told me the bad news about the lung cancer. In the same conversation he asked me to make him a “special daddy dessert” and requested “vanilla custard pudding.” I never had the chance to make it for him as he passed away just a couple of weeks later, but I made it in his honor last year for Father’s day. You can check it out here! I’m happy to say that even though I miss my dad more than ever, a lot of that guilt of what I “should have done” or “could have done” has subsided. I can see my dad loving this Sloppy Joe Macaroni and Cheese meal and I think yours will, too. Cheese, beef, pasta – now THAT’S a man’s meal. The sweetness in the sauce from the brown sugar is out of this world and unexpected. If you need more Father’s day inspiration, I have a collection of recipes here. I’ll end with this poem that I love so much, especially the last couple of sentences – I can’t read it without crying! Happy Father’s day to all you dad’s out there! Smile and think of me. Pray for me. One brief moment and all will be as it was before, only better, infinitely happier…and forever we will all be one together with Christ. Be sure to watch my step-by-step video with tips on how to make this Sloppy Joe Macaroni and Cheese! In a mixing bowl, thoroughly mix together all the ingredients for the sauce and set aside. Cook the pasta in a large pot of salted, boiling water according the directions on the package and then drain. Heat the olive oil in a large skillet over medium-high heat. Add the diced onion, green pepper and garlic. Sauté for about 5 minutes or until fragrant and veggies are soft. Add the ground beef, apple cider vinegar, ground mustard, and paprika to the same skillet and break up the beef up with a wooden spoon as it cooks all the way through - about 6-8 minutes. Add the sauce that you mixed up earlier to the skillet. Add the drained pasta and the cheese on top. Turn the heat down to medium-low, and stir the mixture until the cheese has thoroughly melted and the ingredients are evenly coated and distributed. Hugs to you on this Father’s Day. Your dad must be so proud of you. 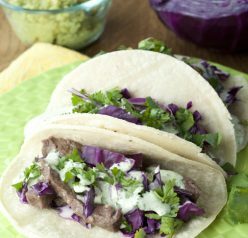 This dish is genius – it combines two of my daughter’s favorite foods. I am sure she would love it as much as your dad would have. Hugs to you. I lost my Dad to cancer in 2007, it was not easy. Still isn’t. So my heart goes out to you. The recipe is absolutely perfect. I bet your Dad would have loved it. Very sweet of you to make it in his honour. Beautiful post, Ashley, thanks for sharing. Wonderful poem, too, my sentiments exactly. And this macaroni…scrumptious! What a beautiful poem! Such a lovely sentiment. That’s so touching you still have the card you were going to give to your dad. I wouldn’t be able to look at it either. 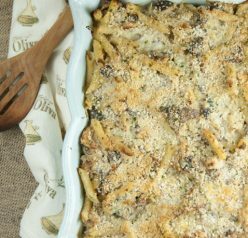 This macaroni and cheese looks awesome – very comforting. This looks like just the kind of belly-filling comfort food that any dad would love. I’m sure your dad would’ve loved a big heaping helping of this… what a lovely way to celebrate his memory. That poem is a real tear jerker, and the wedding photo is so very special. 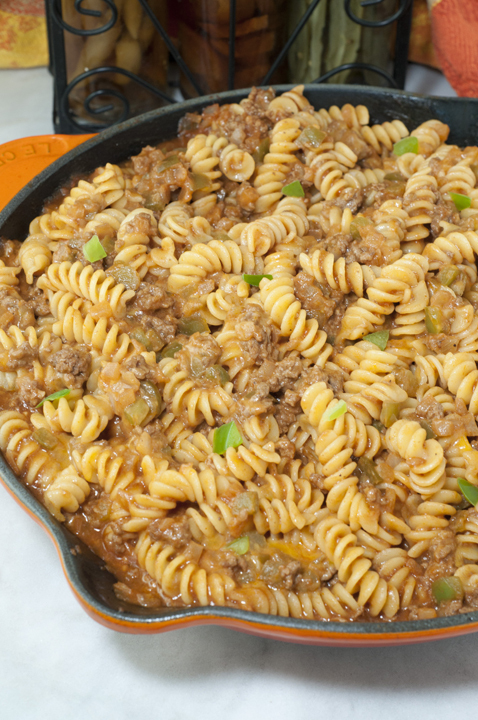 Love this sloppy Joe macaroni and cheese dish too. Looks delicious and very comforting. This poem is beautiful and I love the wedding photo! 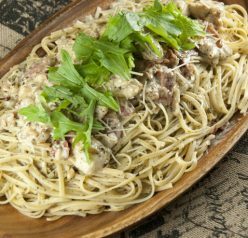 This pasta would definitely make a dad happy, and I know my kids would love it too! What a lovely post, Ashley. I’m glad you are letting go of any guilt you were feeling. I’ve been making a cheddar beef mac and I think I need to make this. Looks amazing and the fellas in my life would love it, no doubt! What a beautiful post! I searched for a hamburger helper recipe, then saw the link to this recipe, and am so glad I did! I didn’t expect to read a poem that would touch me so deeply, and see such a beautiful bride with her dad (who looks overcome with emotion). The recipe is so good. I made it as is, except i added 1/4 tbsp cayenne pepper for my husband’s taste. Thank you!!! Thank you for your sweet comment! This made my day.